Hello lovelies! I hope you're all having a fab day! I was requested some time ago to do more beauty tips or how to posts, because for those of you who don't know, I am a qualified beauty therapist, but to be honest, until now I've been kind of hesitant to do so. This is because while I have been trained and I do 'know my stuff' in a sense, I've always been worried some of you might think I'm telling you to do things a certain way. So, with this in mind, I thought I'd start with something that I'm fairly sure will work for most people and that is growing longer, stronger nails. 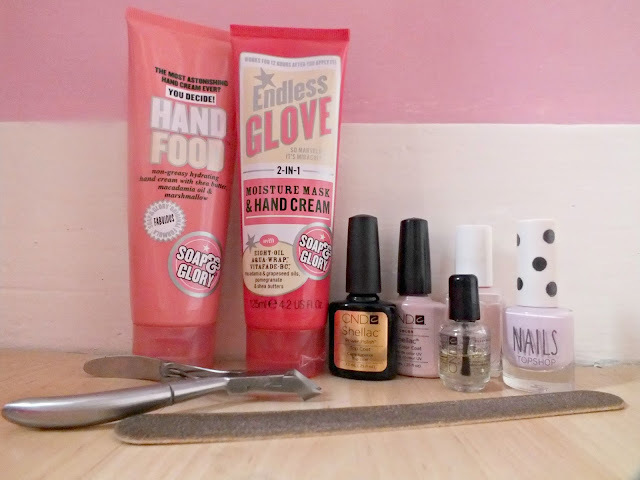 Of course, regular manicures is the best thing for keeping your nails in tip top condition, but for those of you who can only afford manicures as a treat every now and then, these are some tips for at home that will keep your nails in the best condition you can. Before I started taking better care of my nails and learning what I needed to be doing to keep my nails nice, they were very short and they'd peel like crazy. If I let them grow, they'd just break right off again and it drove me mad! But I learnt a few tips that are easy to do that have seriously helped my nails to grow and that's what I'm going to share today. I should also mention that while my nails may not look massively long in the photo this is because I don't let them grow too long! 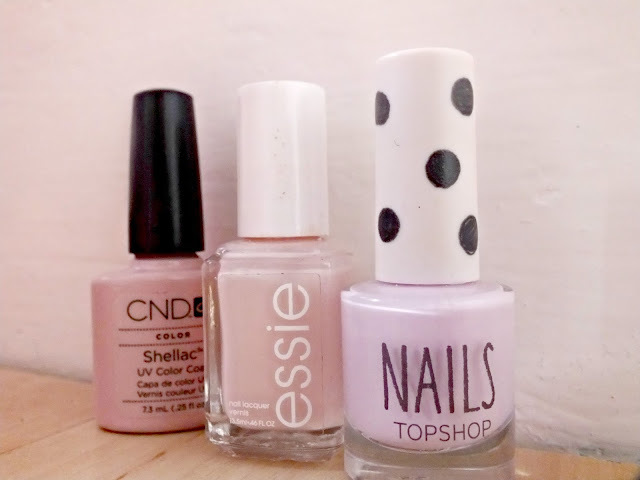 Having very long nails gets in the way of life sometimes so I like to keep them a nice medium length.While all nails are different and some nail types need little extras and different treatments, these tips should work for pretty much anybody. Even if you have lovely long nails already, these tips will help to keep them in great condition! I always keep my cuticles pushed back and trim off the excess skin when I need to. This is because untidy ragged cuticles can not only make the nails look scruffy, but they can catch on things and tear the skin and if the cuticle becomes damaged, the resulting nail growth may not be so great either. The nail is made up of hard keratin, the oldest part being at the very tips of your nails and the newest right at the cuticle. The cuticle protects the new, soft keratin as it grows onto the nail, meaning the cuticle plays a very important role in the overall condition of your nails. Keeping your cuticles neat and pushed back will not only keep your nails looking lovely, but in better condition too. On the topic of cuticles - cuticle oil! I preach this to everyone, friends, family, clients, but it really is a miracle worker. I've been using the CND Solar Oil but there are loads of great ones out there, the Jessica Phenomenon Oil is fab, as is the OPI Avoplex Oil. You can also try high street cuticle oils, but any oil is going to do your nails good. The nail you can see is the nail you are stuck with, but keeping your cuticles nourished means the resulting nail growth will be stronger and healthier. Think of your nails like your hair, if the hair you have is already damaged, you can try to maintain it, but really, your only hope for truly healthy hair, is new hair growth, which will be healthier if you look after it from the very beginning. The cuticle area is the beginning of your nails, so you need to take care of it! I keep my cuticle oil on my bedside table so I always remember to apply it just before bed. As well as applying cuticle oil, it is a good idea to apply hand cream throughout the day, as this not only keeps your hands soft, but will nourish the cuticle area too, keeping it from drying out. I love the Soap & Glory hand creams as they are moisturising and non-greasy, but any hand cream will do really. Just make sure that when you rub it into your hands, you rub it into your nails and cuticles too. A mistake a lot of people with weak nails make is thinking they should stay off wearing nail polish, but it's not true! While nail polish - without a basecoat - can discolour your nails and regular use of strong nail polish removers can weaken them slightly, wearing nail polish won't damage your nails. Infact, if you find your nails bend, peel and break easily, wearing nail polish to protect them is probably a good idea. My nails used to be very weak and one thing that's really helped to strengthen them is keeping them painted to protect them. I use shellac or other gel polishes most of the time, as regular nail polish can get in the way when I'm doing clients nails. The gel polishes in particular form a thick, hard layer over the nails, not only keeping them protected, but making them look lovely too! I've heard horror stories about gel polishes and some people seem to think they damage nails. However, gel polishes such as shellac, jessica GELeration and OPI Gel colour need to be soaked off by a professional, people try to pick and peel them off at home, which is what ruins peoples nails. So if you want to go for Gel, go to the pros! If not, keeping your nails painted with a basecoat, colour and topcoat will keep your nails looking lovely and they'll be slightly more protected too. I always make sure my nails are filed, as ragged tips can lead to your nails catching on things and breaking off. If you've spent time and effort growing your nails, the last thing you want is for all your hard work to be ruined because you forgot to file away the scruffy ends! I generally keep my nails filed to a rounded off square shape, as this keeps them neat and tidy, with no pointy edges that can catch on things. The shape you want your nails is entirely personal preference, but this is what I've found works for me. 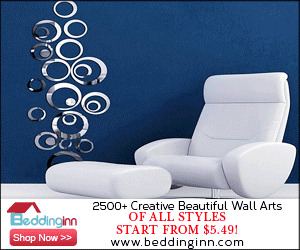 Nails that are filed too square will have sharp corners, that can catch and break and nails that are too rounded, or pointy at the top (i.e. pointy nails or almond shape), can be weaker as the tips will be very narrow and therefore will bend more easily. So, those are my quick tips for healthier nails! I really hope you enjoyed this post and let me know what you think about these kinds of posts. Would you like to see more? Thanx for the awesome. I m just too lazy to file my nails bt after reading post ill make to sure to file them regularly. I love hand food more than anything! But i do wish I could find something that would make my nails stronger, great post! Amazing and so useful post dear! <3 I definitely agree how important it is to use cuticle oil!! It's a must for me! lovely manicure, loving the post by the way very helpful! This is such an excellent and helpful post! Who knew that using nail polish actually protects your nails?! That makes me feel much better about my obscene collection of polishes! I always struggle to keep my cuticles nice too, so will definitely be investing in some cuticle oil this weekend! Also, what is the colour of that essie polish in the photo? looks lovely! The CND oil looks great! May have to give this a try! love reading nail care posts! always learn something new! i always keep my nails short haha! for some reason soon as they get even i bit long i have to clip them not sure why! What do you think of the Barry M hi-shine gelly nail polishes? 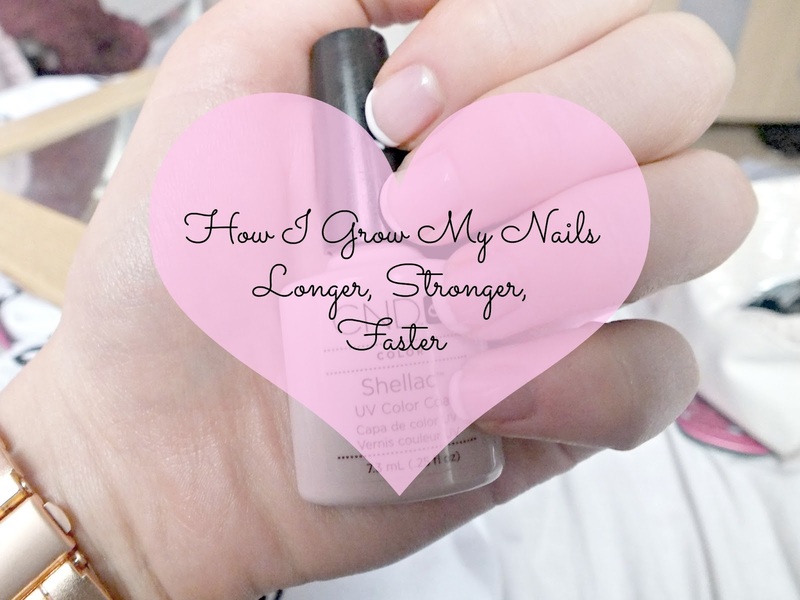 This post is really interesting since I have really frail nails. They break all the time! I will try some of your advices. Thank you! Lately I'm using La Roche - Posay Cicaplast Baume B5 for my nails and they are healthy and strong. Your post was really informative as I generally have really good strong nails, but I do get confused about what to do with my cuticles, but your post has cleared it up! I was wondering if you could help me as my nails have got ridges on them, not really vertically down the nail (as in from cuticle to nail tip) but vertical bumps. However they only appear on my thumbs. I'm really confused as to what I do with them, I file them down lightly but my nails keep growing and the bumps keep coming! Am I not drinking enough milk or something? :/ Thanks. I am so impressed of your awesome post it is very insightful. It's nice to see you working it out for yourself and assisting people by professional writing. Keep rocking. Thank you so much.